When two or more people start a business, they have many options on how to structure the business. One option is to form a partnership. In a partnership, all partners are personally liable for all company debts, and any one of them can be sued to repay the debt. Furthermore, all partners have the authority to bind the business into a contract or a deal. This arrangement is not ideal for all business, particularly if there are many partners, or in cases where one or more of the partners wants to invest in the company, but has no interest in running the day to day operations. In this case, the partners will want to set up a limited partnership. In a limited partnership, there are general partners and limited partners. General partners make business decisions, have the authority to bind the company, and can be personally liable for company debts. In contrast, the liability of a limited partner is capped at the amount of money they invested in the company. Limited partners cannot make business decisions and have no authority to bind the company. If a group founding a company decides that a limited partnership is best for their situation, they can create one with a limited partnership agreement. At San Diego Esquire, we provide flat fee limited partnership agreement drafting services. We charge a flat fee of $595 to draft a limited partnership. Our attorney will work with you directly to make sure the agreement contains all the terms and conditions you need to create your limited partnership. Sign up to get started. Review our 100% money back guarantee. Read on to learn more about limited partnerships. The limited partnership agreement defines the rights and responsibilities of both the limited partners and the general partners. The limited partnership agreement should contain: the name and address of the business, the purpose or goal of the limited partnership, the names of the limited partners and the names of the general partners, a provision clearly stating how percent ownership is to be allocated, expected capital contribution of each partner, who has the authority to make business decisions, voting rights, and how profits and losses are to be allocated. Voting rights and profit/loss allocations are often based on capital contribution, but they do not have to be. In addition, many limited partnerships have an end date. For example, the limited partnership could be for 20 years or it could be until the completion of the project. A limited partnership agreement should also include a provision that outlines how to remove a partner, in case a partner wishes to sell their interest, becomes incapacitated, or dies. Limited partnership agreements can be drafted when the business is formed, or it can be created during the course of an existing partnership to clearly define the partners’ rights and responsibilities. A limited partnership agreement is a complex document and should be drafted by an attorney. Even if there is a limited partnership agreement in place, a limited partner could be personally liable for company debts if they take an active role in the business operations. Limited partners may vote on the basic structure on the business. This includes issues such as amending the agreement, terminating the partnership, or removing a general partner, but anything beyond voting on the structure could expose the limited partners to increased liability. 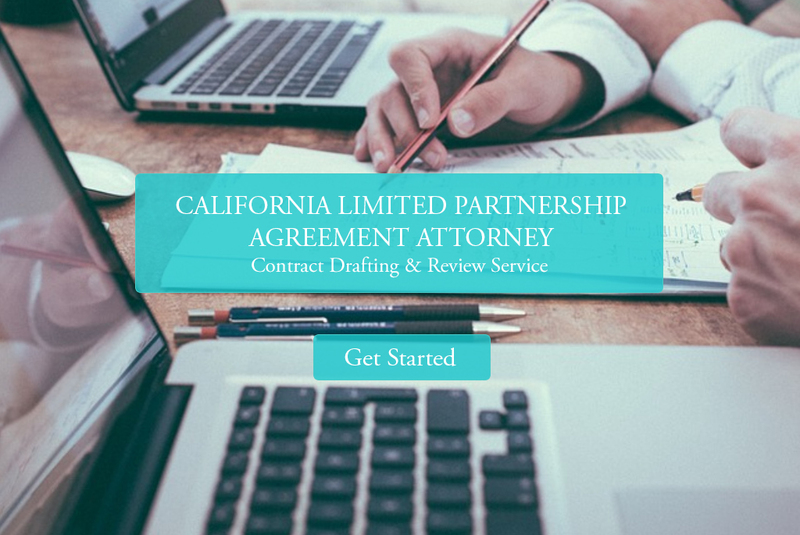 Contact SD Esquire for more information about our California limited partnership agreement drafting services. We can help you draft or review a limited partnership agreement for your business.